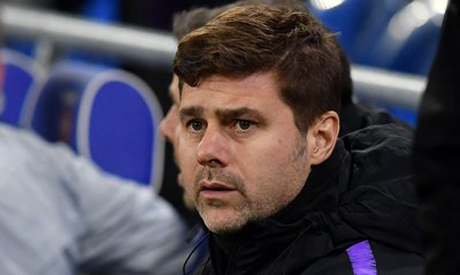 Tottenham Hotspur manager Mauricio Pochettino believes he would have been sacked if his teams were chasing domestic cups over finishing in the Premier League top four. Pochettino's Spurs kick off their FA Cup campaign in the third round against League Two (third-tier) outfit Tranmere Rovers on Friday before facing Chelsea in the first leg of the League Cup semi-final on Tuesday. "If my ambition in Tottenham is only to win the Carabao Cup or FA Cup, with all the respect for that, I think my ambition does not match the ambition of a club like Tottenham," he told reporters on Thursday. "My ambition is to win the Champions League one day with Tottenham or the Premier League." Revenue from regular Champions League qualification is critical for Spurs' financial stability as they prepare to move to their new 62,000-seater stadium. "In some clubs, if you don't win a trophy, you fail. But in our project at Tottenham we are completely different... we have bigger things than to focus only to win a trophy," Pochettino added. "But that doesn't mean that we are not focused on trying to win against Chelsea in the Carabao Cup or in the FA Cup. But you need a lot of coincidences to win sometimes."